An intense interval-based workout guaranteed to shred fat and blast endorphins in 30-minutes, flat. Open to ALL fitness levels. Give us 2% of your day and we’ll give you freedom, flexibility, and results! We offer over six workouts a day, 7 days a week. A HIIT workout capable for all fitness levels. Let our team of professional trainers guide and modify each workout to deliver a complete total-body workout in half the time. "The best workout I've ever had with serious results! It's been better than my experience with a personal trainer. Plus it's ONLY 30 minutes! Beautiful studio & wonderful people. Highly recommend!" "This place rocks! Great motivators, 30 minute workouts, tons of times to chose from! I'd rush in if I were you!" "What a great place to focus on fitness. Whitney is a very quality trainer who really cares about her clients and caters to all fitness levels. Very impressed!" “Not only is it the best workout in town but it's only 30 minutes! The trainers are the best in Traverse City, fun, energetic and motivating! 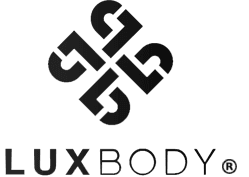 Thanks Luxbody." “It has changed my life, coming here. The strength I have from LUX is unbelievable--and for only 30 minutes of my day! Love it! Love it!!" A 30-minute high intensity interval training class open to all fitness levels. Guaranteed to torch fat, not muscle! A total body resistance workout. No mercy, just MAX! This advanced class combines our signature HIIT with longer intervals, quicker transition periods, and more difficult exercises. Roll, stretch, & release aches and pains with this combined self-myofascial release (SMR) class and yoga flow (VIN). Using advanced rollers & massage balls.